In this week's edition of The 7 we'll take a look back at the jersey numbers that were retired in the NHL during the 2017-18 season. It's a rare honor used primarily to immortalize a significant player in a franchise's history — though sometimes there are other reasons. Let's dive in. The Dallas Stars recognized three-time Selke award-winner Jere Lehtinen by retiring his No. 26 jersey on Nov. 24. It was the fifth number retired by the franchise, after 7, 8, 9, and 19. Lehtinen played 875 games in Dallas and assisted on the Stanley Cup-clinching goal in 1999. 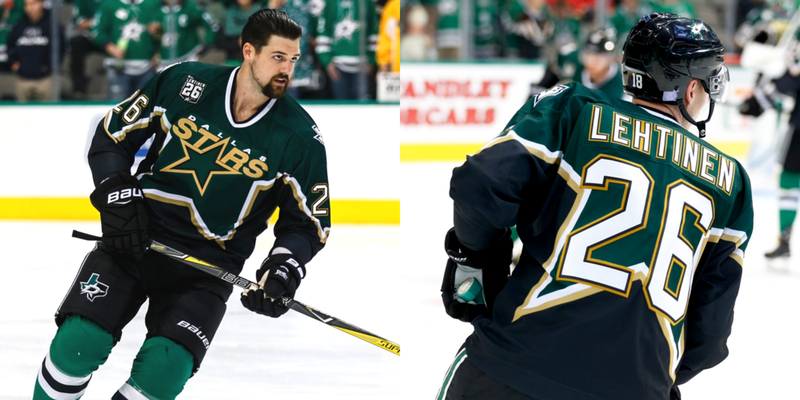 On the night that number was raised to the rafters, the team took warm-ups in throwback jerseys featuring Lehtinen's name and number along with a commemorative patch. 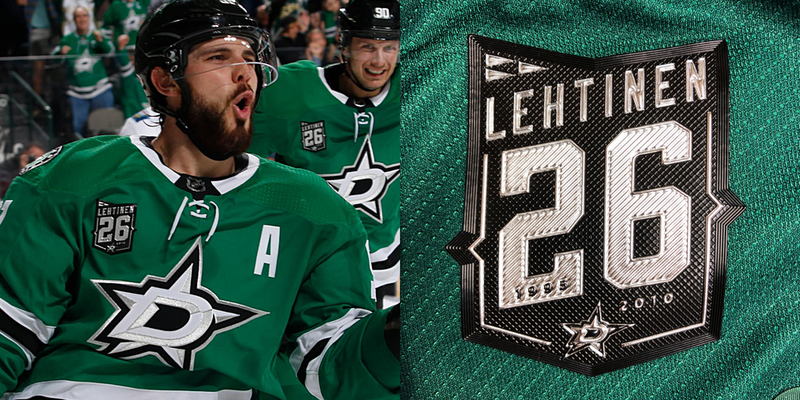 That patch also replaced the 25th anniversary patch the players have worn on their chests all season. The Stars defeated the Flames, 6-4. To kick off the new year, the Colorado Avalanche retired the No. 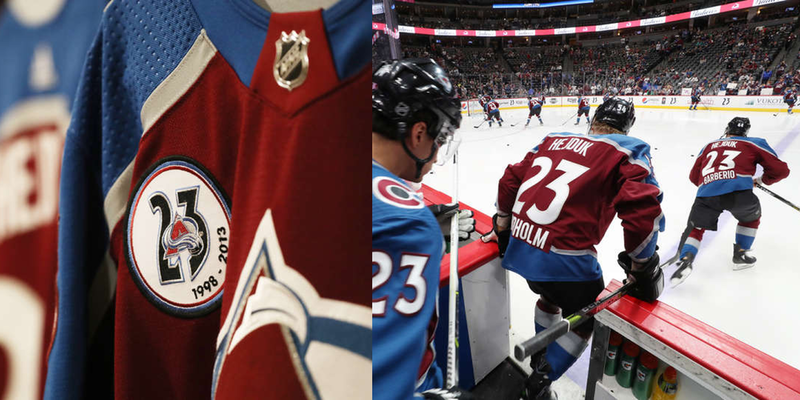 23 sweater of former captain Milan Hejduk. And if you love numbers, you're gonna love this one. Hejduk scored 23 points in 23 games during the Avs' 2001 Stanley Cup championship run. He achieved his first and only 50-goal season in 2002-03 and tallied 23 assists in his final full season in the NHL. On the big night, Jan. 6, players took warm-ups all wearing No. 23 jerseys with Hejduk's name across the top, and their own at the bottom. Those sweater also featured a special patch on the chest commemorating the occasion. No patches were worn during the game. The Avalanche routed the Wild, 7-2. This was one of those numbers you probably thought was retired already. He only played eight seasons for the Philadelphia Flyers, but Eric Lindros left an indelible mark. On Jan. 18, the franchise raised his No. 88 sweater to the rafters. His career got off to an incredible start in the early 1990s as he amassed more than 350 points in his first four seasons. But a series of injuries and the breakdown of his relationship with general manager Bobby Clarke caused Lindros and the Flyers to part ways on a sour note in 2001. The air was cleared over a decade later when the Flyers invited Lindros to participate in the alumni game prior to the 2012 NHL Winter Classic in Philadelphia. In 2014, he was inducted into the Flyers Hall of Fame. On the night his jersey was retired, the team sported a black patch containing the number 88 on their shoulders. The Flyers beat the Maple Leafs, 3-2 in overtime. On Feb. 10, the Tampa Bay Lightning retired the second number in franchise history, sending Vincent Lecavalier's No. 4 to the rafters. Lecavalier was a key member of the team's 2004 Stanley Cup championship run. He wore No. 4 throughout his career in honor Jean Beliveau but it wasn't available when he joined the Bolts in 1998, after being drafted first overall. Lecavalier, in fact, wore No. 8 during his rookie season. He took over No. 4 in 1999 when Cory Cross was traded. To mark the occasion, the Lightning took warm-ups wearing white throwback jerseys featuring Lecavalier's name, number and captain's "C" — a post he held from 2008 to 2013. The jerseys also featured a chest patch commemorating the event. For the game, the Bolts wore white at home and that commemorative patch in place of the 25th anniversary patch. For those who like numbers, the team won the game against the Kings, 4-3. Lecavalier won his only Stanley Cup with the Lightning in 2004. And the 2013-14 season was his first playing for another team, the Flyers, during which he scored his 400th NHL goal. He wore No. 40 in Philadelphia and No. 44 as a member of the Los Angeles Kings before he retired in 2016. Two weeks later, the New Jersey Devils honored longtime forward Patrik Elias with the retirement of his No. 26 jersey. Elias helped the club to four Stanley Cup appearances in 20 seasons and two championships in 2000 and 2003. He amassed more than 1,000 points in the NHL. While we all know Elias as No. 26, that wasn't the only number he wore as a Devil. During a call-up in 1995-96, he played one game wearing No. 24. The following season, he played in 17 games wearing No. 22 before settling on No. 26 in 1997-98. On his big night, Feb. 24, the four previous Devils to have their numbers retired Ken Daneyko (3), Scott Stevens (4), Scott Niedermayer (27), and Martin Brodeur (30) were all on hand to help celebrate. The team wore their white road sweaters and a special chest patch to commemorate the occasion. The Devils beat the Islanders, 2-1. The following night, the New York Rangers reached back into the 1960s and '70s to celebrate Jean Ratelle and retire his No. 19 sweater. Ratelle last skated for the Rangers 42 years ago, so the number has certainly been worn a number of times since he moved on. But the Rangers seem to feel it's better late than never. Ratelle was best known as a gentleman of hockey and for scoring quite a lot of goals, actually. He nearly hit 500 in his 20 years. For the game that night, Feb. 25, the Rangers wore a patch on their right shoulder with Ratelle's No. 19 and the date. New York fell to Detroit in overtime, 3-2. Two similar number retirements took place this season. The Florida Panthers retired their No. 37 sweater on Jan. 19 in honor of founder Wayne Huizenga who owned the team from 1993 to 2001. Huizenga considered 37 his lucky number; he was born in 1937. And as fate would have it, he died of cancer just two months after the Panthers honored his contributions. The No. 37 jersey has been worn by six players in Panthers history: Herbert Vasiljevs, Trevor Kidd, Tanner Glass, Bill Thomas, Greg Rallo, Brent Regner. In 2010, the Panthers retired No. 93 in honor of original team president, Bill Torrey. The number was chosen for the year the team was founded. The Panthers have yet to retire the number of a player. Meanwhile, the Vegas Golden Knights closed out their inaugural home schedule on Mar. 31 by memorializing the victims of the mass shooting that took place in Las Vegas just days before the season began. They raised a banner containing the names of all 58 people who died and retired the No. 58 jersey, which will never be worn by a Golden Knight. And so ends another edition of The 7. Check back soon for more.